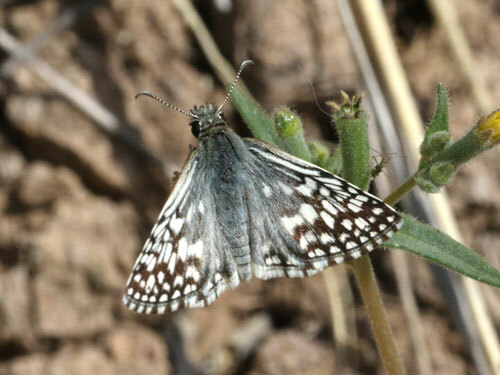 ARIZONA April 2015: We found this south eastern species at a few sites in the foothills and planes around Nogales. 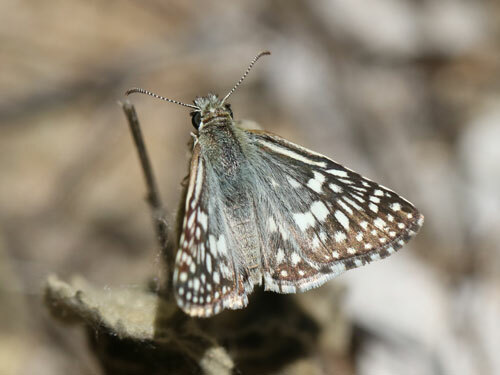 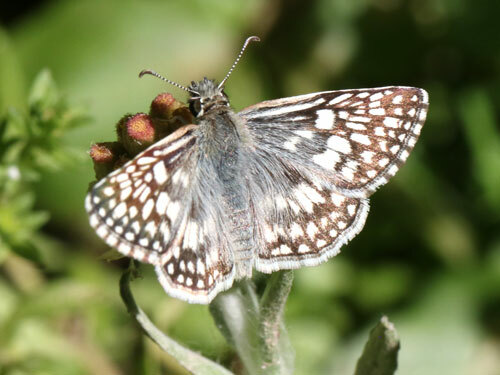 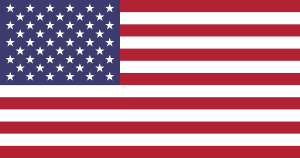 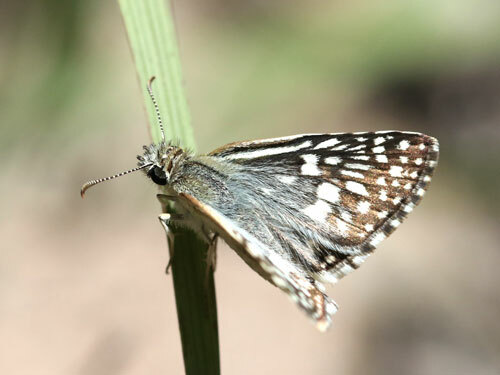 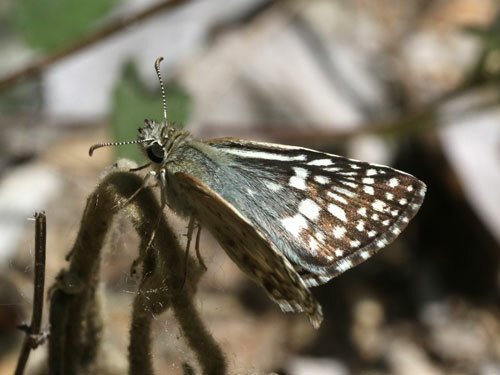 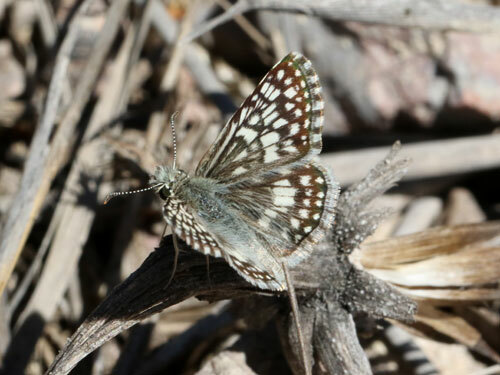 It is separated from the Tropical checkered skipper by the less extensive basal scaling on the forewing and regular checkering along the fringe. 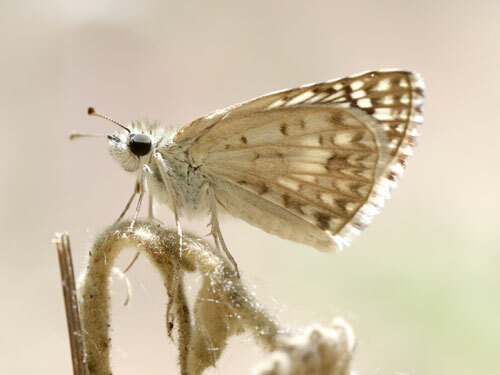 The underside hindwing also as a row of 4 spots.